This morning I wanted to share a few historically-reliable recession indicators that are flashing either yellow or red (as well as one still giving the green light) to help provide more context of where the U.S. may be residing in the economic cycle. 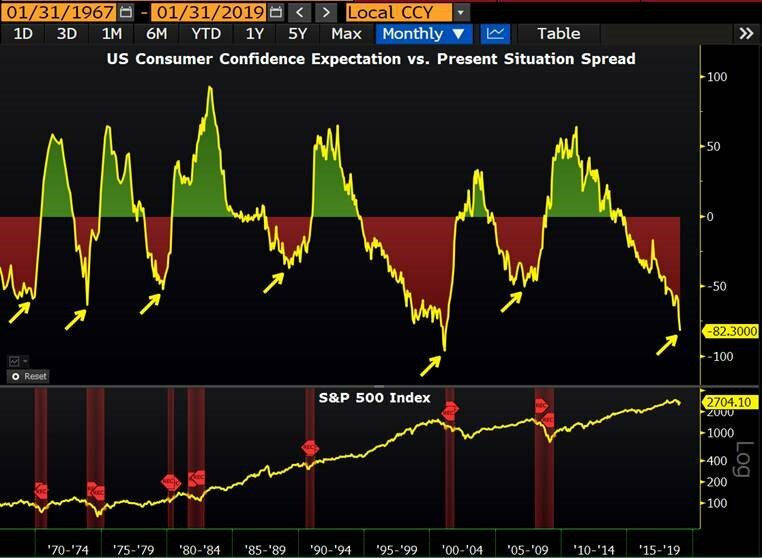 The first chart shows Consumer Confidence Expectations vs. “Present Situation.” What we see is that, going back to at least 1967, every cyclical trough in this metric has been followed by recession. The current reading is one of the worst readings second only to the Dot-Com Bubble. The next two charts are from Charles Schwab’s chief strategist, Liz Ann Sonders. 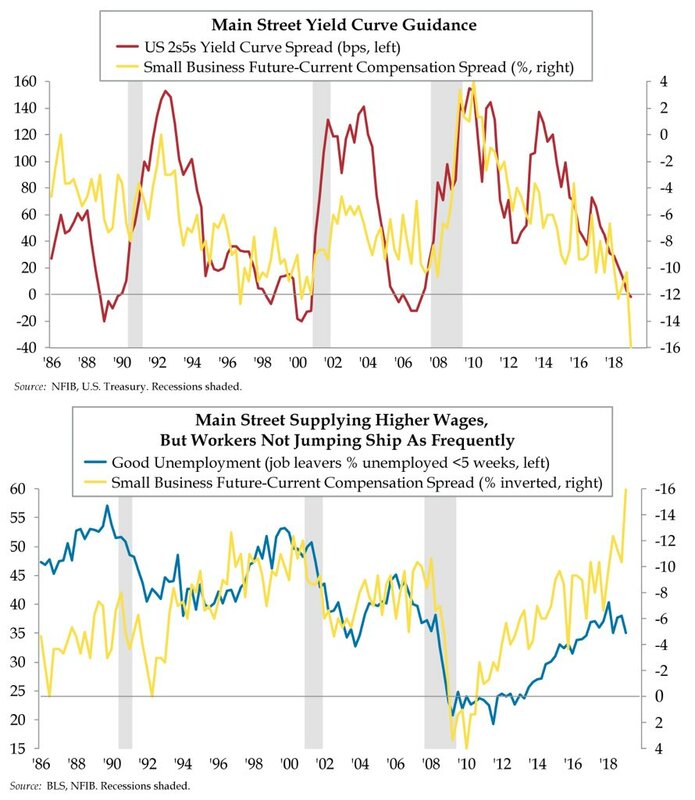 The first (yellow line) shows the spread between small business’ expected future compensation minus current compensation producing the most inverted compensation curve in history (a recessionary signal). The second (blue line) chart shows that employees aren’t jumping ship as frequently. Job-hopping activity tends to peak then decline before recessions. 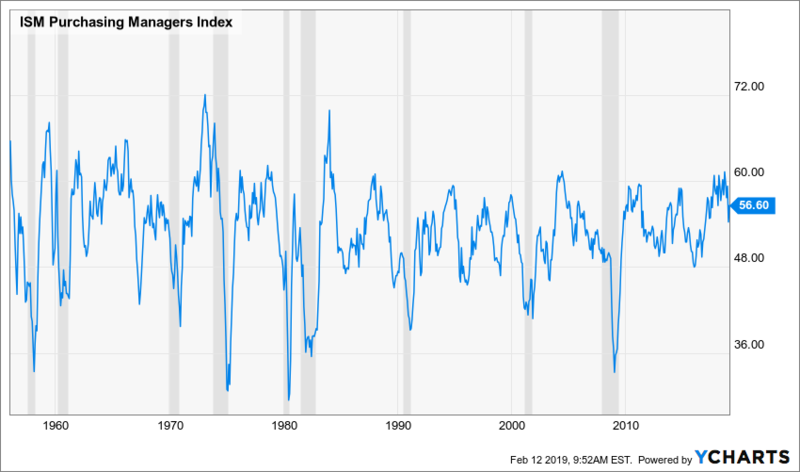 However, I’ll start to get really concerned when this ISM Purchasing Manager’s Index drops below 50, which would round out a trifecta of recessionary signals. As always, I will continue to monitor these and the many other signals I track on your behalf! 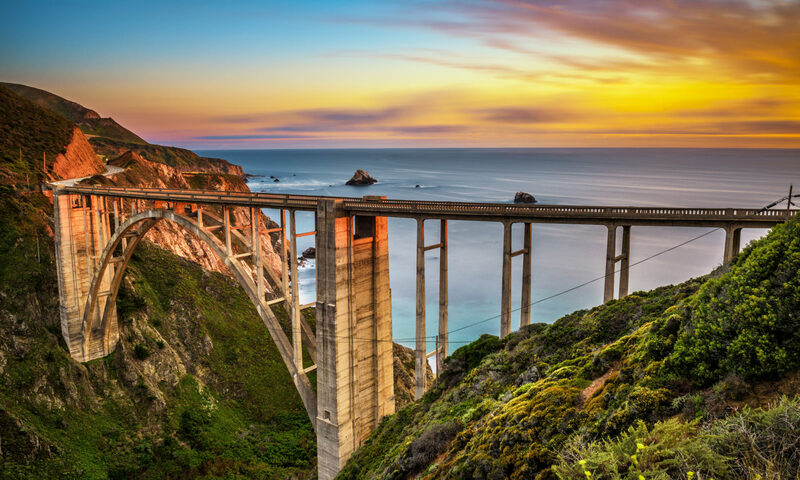 Past performance is no guarantee of future results. Not intended as investment advice but merely as education. Next PostNext Looking for a cheaper, better healthcare alternative? Here’s my experience with a health sharing arrangement.